Brussels Sprouts is a weird word. I always want to say (or type) brussel sprout, but every time I do there is an annoying red squiggly line under the word telling me I am wrong. And why does Brussels need to be capitalized anyway? For those who are also curious, which is probably no one...I went ahead and googled that. Apparently the veggie is big time and got named after a city. Fun little fact. 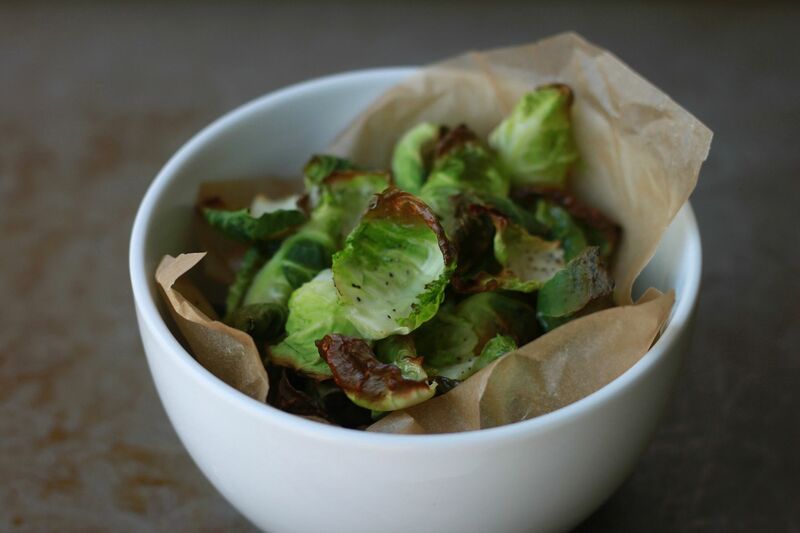 These Brussels Sprouts chips (see it sounds weird) are crispy and absolutely delicious! If you like kale chips you will love these. They are not nearly as bitter as kale chips and in my opinion make for an even tastier guiltless snack. 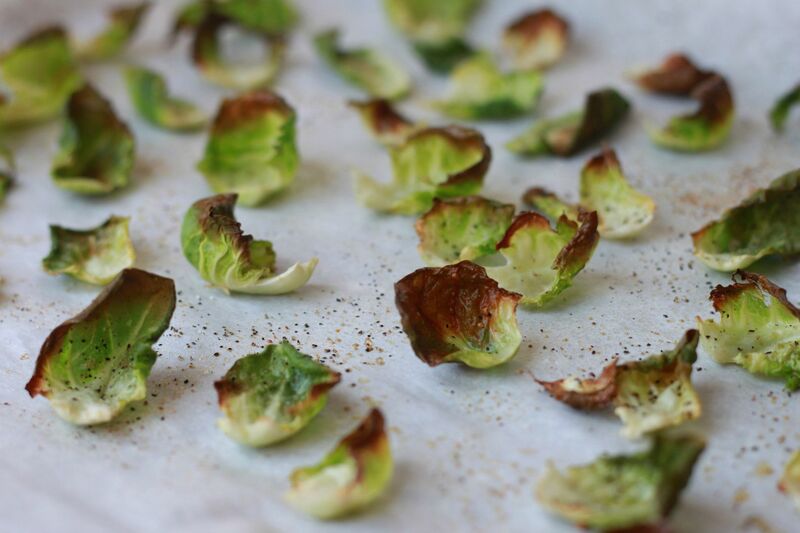 Plus they are so easy and basically fool proof (I am always burning those darn kale chips). 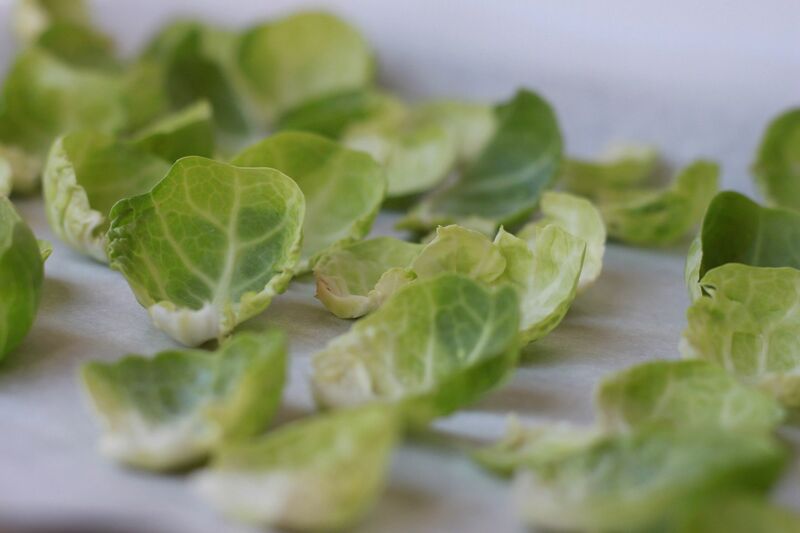 Wash and dry the Brussels sprouts. Using a sharp knife, cut off the very bottom of each one and pull apart each leaf. Keep trimming the bottom until you can not longer get any more full leaves off. Line a baking sheet with parchment paper and evenly spread the leaves on it. Lightly spray them with olive oil or coconut oil cooking spray. Sprinkle a small amount a garlic salt and pepper on top. Bake for 10-15 or until they look nice and crispy. These are best enjoyed straight out of the oven. We ate ours with a little homemade guacamole and after about 10 minutes not a single chip remained. We were just talking about doing this!! The little crispy leaves are our favorite!! 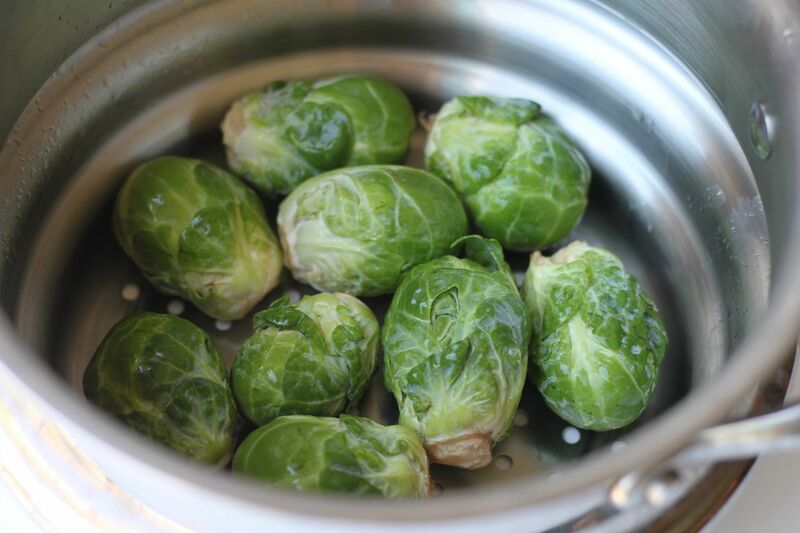 Brussels Sprouts are my favorite! I bet the crispy chips are great! Yummy! I love Brussels Sprouts!! this recipe makes me so happy! you're making one of my favorite foods chic :) definitely going to feature on my blog! 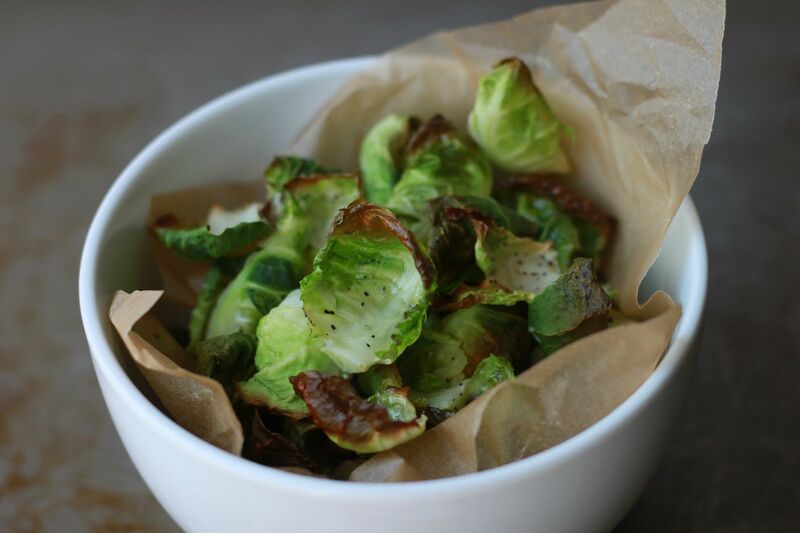 I have never had Brussels Sprouts before, but these are amazing and I cannot get enough of them! Made these today and they were so GOOD! Thank you! Do these have a strong brussel sprout taste? I've never had them before, and I'm worried I won't like them. I just had these at a local [to me] restaurant the other night. They were salted and drizzled with a touch of balsamic, and then a smidge of Gorgonzola dropped on top. To Die For!!! I have got to try these. Drooling over them!